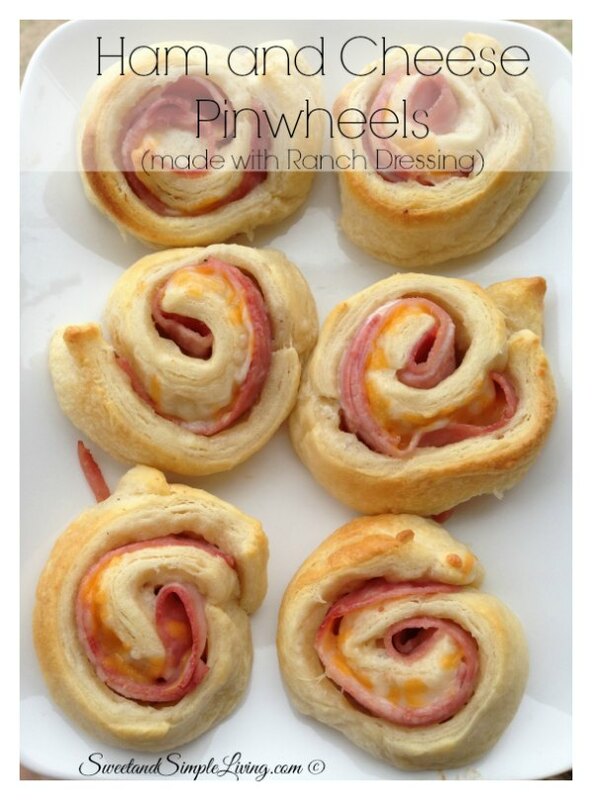 Who’s ready for a super easy Ham and Cheese Pinwheels recipe?! This is one of those recipes you can whip up in about 10 minutes and through it in the oven. You know the days when you get home from work and don’t feel like making anything. 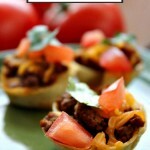 This recipe can also be customized to your own tastes too because it’s so versatile! 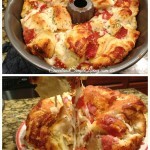 This one is right up there with our popular Easy Pull Apart Pizza Bread Recipe! And you know how good that recipe is!!! So far I’ve tried a few different ways to make it that I will share with you. My family is a big fan of ranch dressing so we used that in one of the recipes. I’m a big fan of basil pesto so I put that in the other. 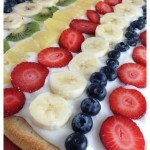 I encourage you to get a little bit creative with this recipe too though. 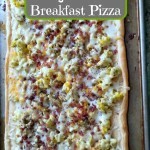 For example, we may even add bacon bits to them too! Oh, don’t forget about the different cheeses you can add too. 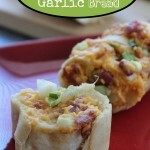 If you like it a bit spicy then try this with Pepper Jack cheese! 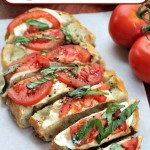 Or maybe you want it like a pizza, then add mozzarella cheese. 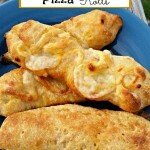 Ham and Cheese Pinwheels Recipe that is made with pizza dough or crescent rolls! Sauce Options: You can use Cream Cheese, Ranch Dressing, Pesto or any other sauce you like. 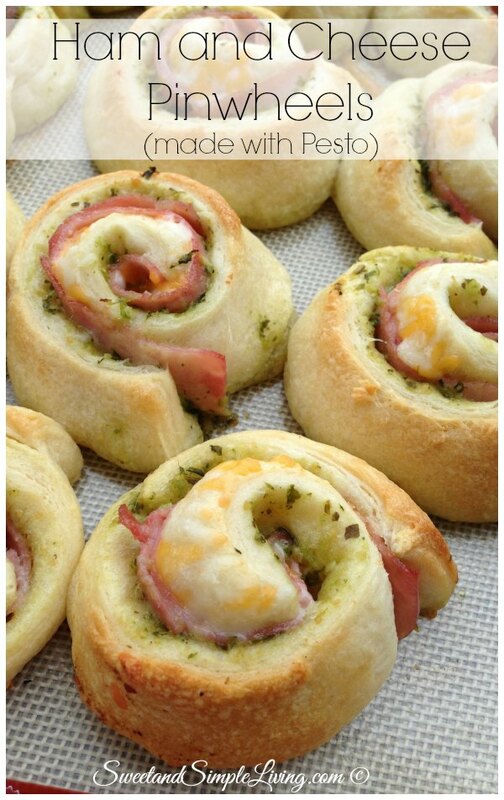 Unroll the dough from the can. Make it into a large rectangle shape (as seen in my photos) If you are using the Crescent rolls that are precut be sure to pinch the precut slices back together again. Spread your choice of sauce. If you use the cream cheese make sure it's softened before you try and spread it. Roll up and pinch the ends to the roll so they stick. See my video for an easy cutting technique so the pinwheels cut perfectly. Bake for about 13 to 17 minutes or until golden brown. Pro Tip: I almost always use my favorite Artisan silicone baking mats for a perfect crust every single time. They are amazing! They are also listed as a best seller on Amazon as seen here. I was able to snap a few photos of the process to give you an visual idea of how to make them. They are not hard at all. Scroll down all the way to see the quick video on my amazing cutting technique! I use a piece of string! Dental floss works amazing and cuts it perfectly ever single time. I always use this technique when I want to cut something perfectly! Grab a long piece of string or better yet, dental floss. 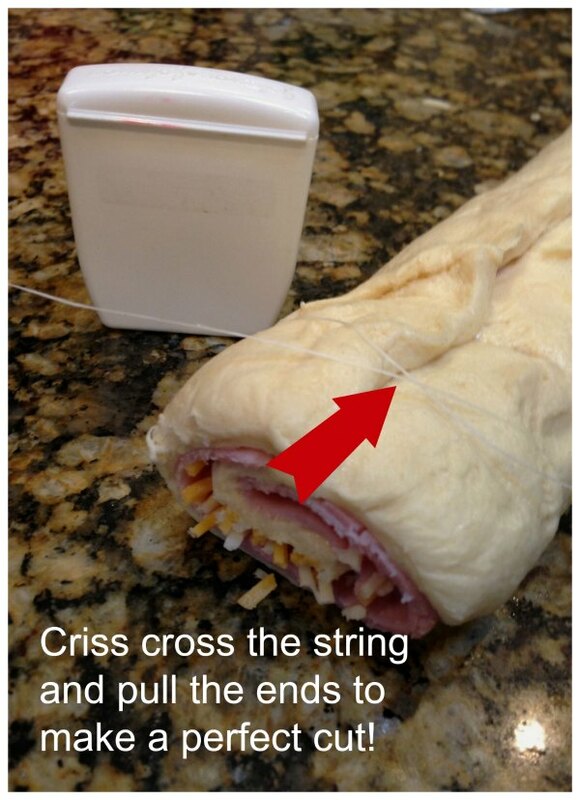 Place the sting centered under the roll and criss cross the string on top. Now pull both ends of the string at the same time and it will cut the pinwheels perfectly ever time! Fantastic! I used sharp cheddar, real bacon bits, and buttermilk ranch dressing. They were gone so fast I didn’t even get to taste them myself. Had to make another batch and took mine out before I told everyone they were ready! Have to move fast with these tasty bites! Can,t wait to try these. Thank you. Epic fail. The mess that came out of the oven wasn’t even edible. I used to have a recipe but have lost it. i know it had the rolls,cream cheese,ham and chopped onions but can’t remember if it had anything else (I don’t think so) nor do I remember the amounts of each. I believe the recipe was in a cookbook. Can anyone help me out? Thanks !